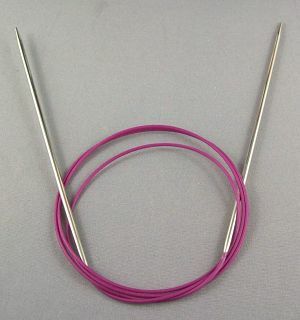 Nova Fixed Circulars are extremely strong needles made of brass and coated with nickel. They are smooth and the knitting slides easily along them as you knit. Please select the size required from the drop down boxes.